44 x styrene airframe parts, 13 x resin engine, radiator and detail parts, 2 x clear printed acetate windscreen (cut & fold type), 1 x PE fret of 25 parts, and decals for 4 subjects (basically 2 different schemes). Available on-line from Hannants for £13.61 and Great Models Webstore for US$25.15. Some might prefer a moulded clear windscreen to cutting out and folding thin acetate. A well-produced kit of an unusual but widely used type. Nice details include some small and delicate resin and PE parts. 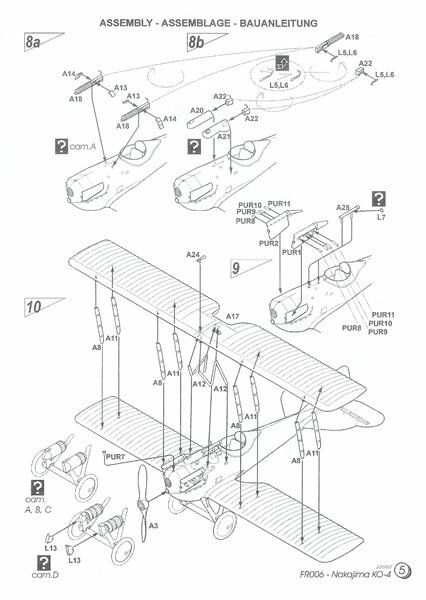 Should build with few problems providing care is taken with biplane assembly. Recommended. The Nakajima KO-4 was a Japanese licence-built version of the Nieuport-Delage NiD 2, which first flew in prototype form in August 1918. Despite having performed well the second prototype was modified with larger span wings. These were needed to achieve the target altitude required by the specification it was designed to meet. The design was put into production in 1920, although by this stage the ailerons were deleted from the upper wing, and those in the lower wing were enlarged. At the time it was apparently the fasted fighter in the world, a claim supported by the success of the 1920 NiD 29V (No.10) which won the Gordon Bennet Trophy and held the two world speed records. Various other racing versions participated in such events as the 1919 Coupe Deutsche and the 1919 Schneider Trophy; the latter of course in seaplane form. The French introduced it into service in 1922, ordering 250 examples. The NiD 29 was also purchased, and in many cases licence- built, by several other European nations; notably Belgium with 108 and Italy 175. But it was to be Japan with over 600 that was to become the biggest operator of the type where it replaced the SPAD XIII and Nieuport 24. 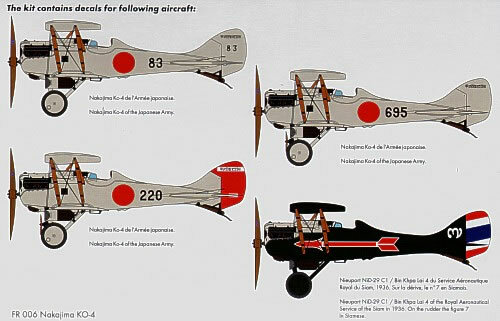 The KO-4 had a relatively long service life with the Imperial Japanese Army Air Force, serving from 1924 until 1937. Its tendency to side slip, unreliable engine and relatively high landing speed meant it was not as popular in Japanese service as the designs it replaced. It was used operationally during 1931-32 during the so-called Manchurian and Shanghai Incidents of the Sino-Japanese War, although no aerial combat was involved. The KO-4 finished its days serving in various fighter schools. China’s Kwansi government purchased 10 KO-4’s in 1935, but later joined the central Nanking government and the aircraft were integrated into the Chinese Air Force. 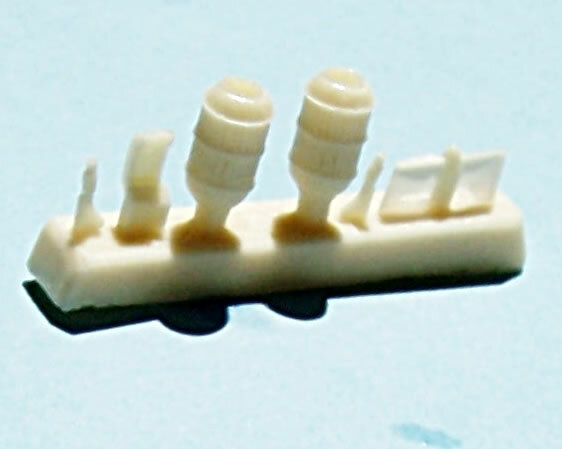 I am aware of only two previous KO-4 or NiD 29 kits, and they are a KO-4 and Macchi-Nieuport 29 by Choroszy Modelbud. By all accounts these are superb resin kits (as are most kits from this Polish manufacturer), and I think they are generally available from stockists. 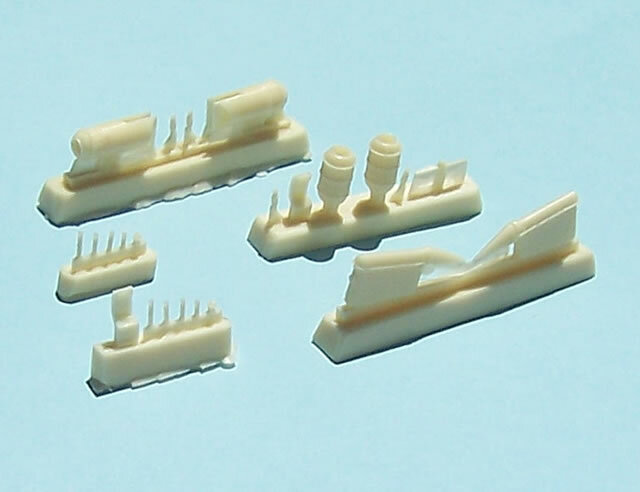 However resin kits are not everyone’s cup of tea, and in this case cost more than double the new styrene multi-media release reviewed here. 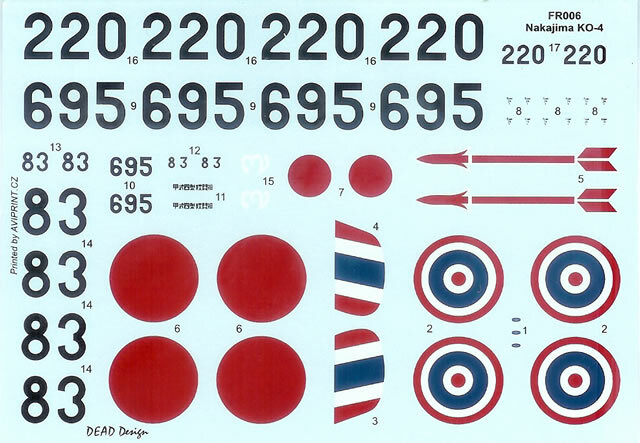 So it seems likely that Azur’s new kit will be welcomed by fans of inter-war and small air force subjects (They have issued three boxings so far with decals for seven nations). Azur is a French concern, but the kit is produced by the MPM/CMK-Group of the Czech Republic. The kit comes packed in a typically Czech end-opening box, with attractive art-work on the front and colour schemes on the rear. 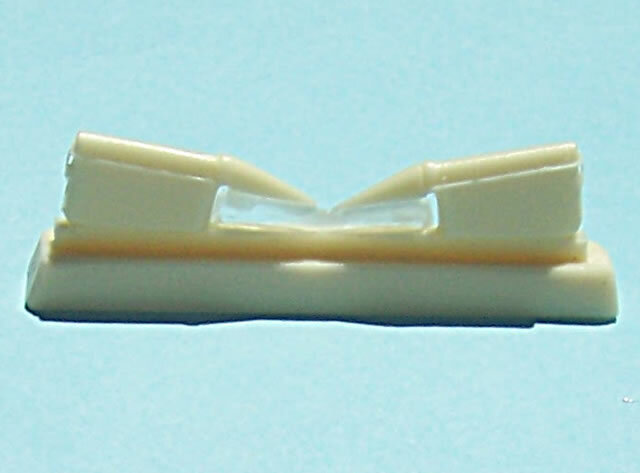 The styrene parts, decals and PE fret are each enclosed in a plastic bag. 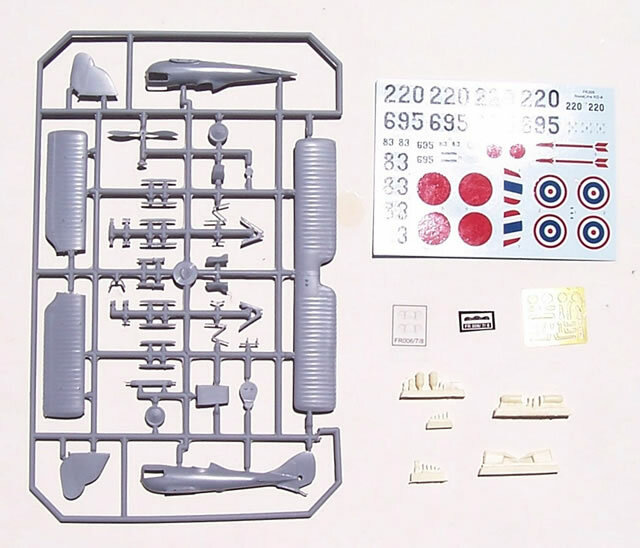 The instructions are A5 format with a brief aircraft history in English and French, as are any written instructions and paint colours. The diagrammatic assembly instructions are clear and easy to follow. There are no detail colour call-outs, and the airframe colours are given as generic names but do include colour numbers for Gunze Sangyo and another brand I cannot identify from the small logo provided. Surface detail where applicable is done nicely. The fuselage is very smooth reflecting its plywood monococque construction. I did notice on my sample that the depth of the rudder hinge line varies in places, and will benefit from some light scribing. 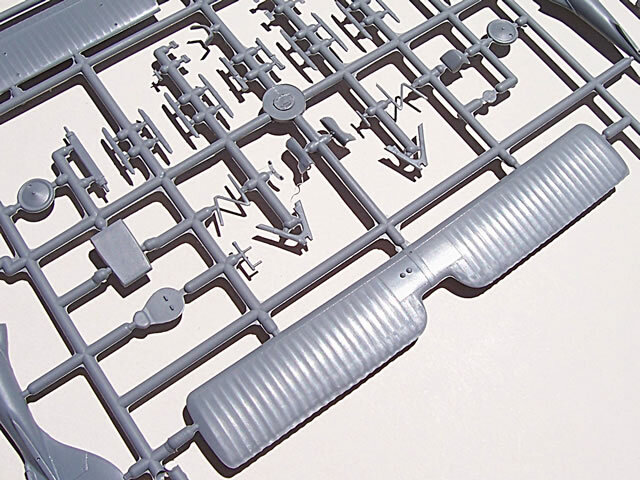 Small parts are moulded cleanly enough, but a little tidying up of parts here and there will be needed, as is to be expected with this type of kit, especially where the sprue gates are located. The cockpit detail is perfectly adequate for the scale and small size of the model. Styrene floor, seat, control stick and bulkheads are complimented by a photo-etched fret with photo-foil instrument panel, as well as PE seat belts. Some structural framing is moulded into the fuselage walls in the cockpit area, along with moulded throttle detail to which a PE throttle is then to be attached. The fuselage of NiD 29 was made from 50 mm wide rosewood strips set in spiral fashion in a mould that included the fin and fixed parts of the tail-plane. In the case of the fuselage there were six layers set at 90 degrees to each other. This means that there is a blended transition from fuselage to tail-plane and fin (unlike many designs of the period), and that spiral planked wood finish on the inside of the cockpit walls would be appropriate. The windscreen is catered for by a photo-foil with the framing outlined. Care will be needed cutting this out, and I think some framing made from painted decal will help with its appearance. Two copies are provided, so there is the chance of a practice run. I think there will be those who, despite it being thicker, would have preferred a conventional clear styrene windscreen as an option, although personally I’m relaxed about it. 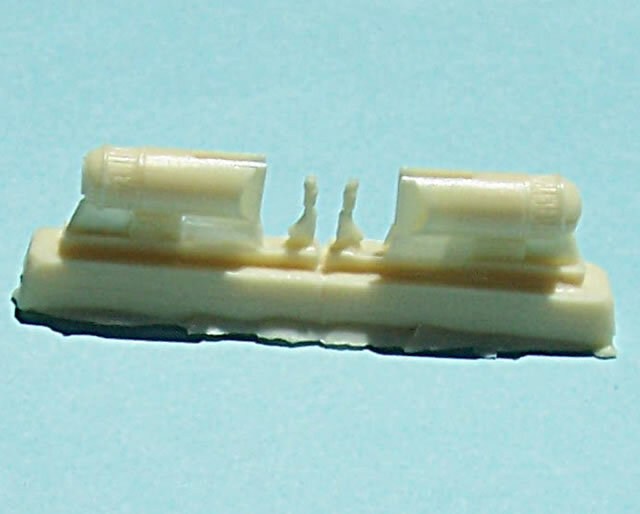 At first I thought somewhat surprising that the guns were moulded in styrene, given the amount of resin parts supplied. The ribs on their cooling jackets of the plastic guns are okay, although their muzzles are a bit clunky. They do get to be dressed up with some ammo chutes and PE cocking handles however. Later I realised that in fact most of the guns are enclosed within streamlined fairings with only their muzzles and butts exposed. So the quality of their styrene detail is almost academic, but they will still look better with new muzzles made from a hypodermic needle or similar tubing. I’m pleased to say that the propeller is very nicely done despite being plastic. 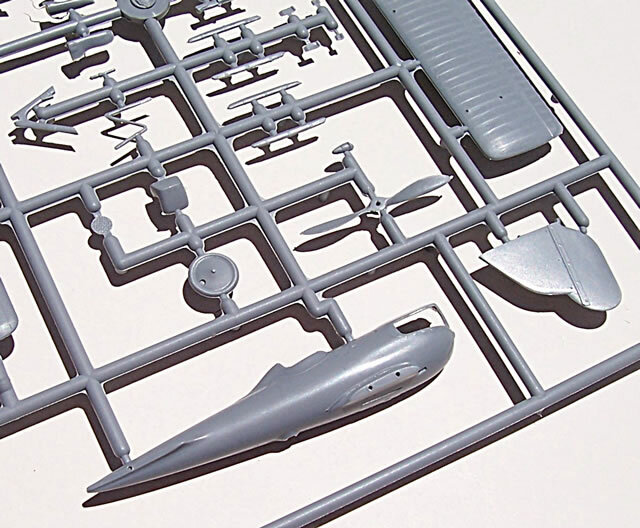 The remaining styrene parts mainly cater for wing struts and undercarriage, and care will be needed because of the relatively large sprue gate attachment points. There are quite a few resin detail parts for such a small subject. Perhaps the most prominent are the Lamblin barrel-shaped radiators that attach to the undercarriage legs. These were claimed by the manufacturer to add 25 km/h in top speed compared to more conventional types. Two versions of this radiator type are supplied as one of the four decal options uses a different style radiator to the others. 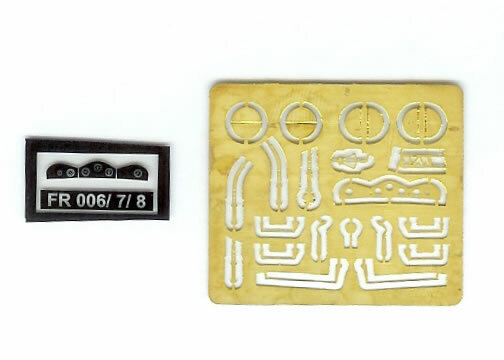 The other major contribution that the resin parts make is in the form of cylinder heads and rocker covers, plus some very dainty exhaust pipes. Also in resin are the finned lower sections of the oil tank, and a wind-driven dynamo. I’ve already touched on the PE details for the cockpit, and the PE fret also provides the folded semi-circular plates that attach on the undercarriage legs directly ahead of one version of the Lamblin radiators. I’ve looked at photos and I cannot tell of these are part of the mounting of air deflectors of some kind. Whatever they are, Azur has captured their appearance well. 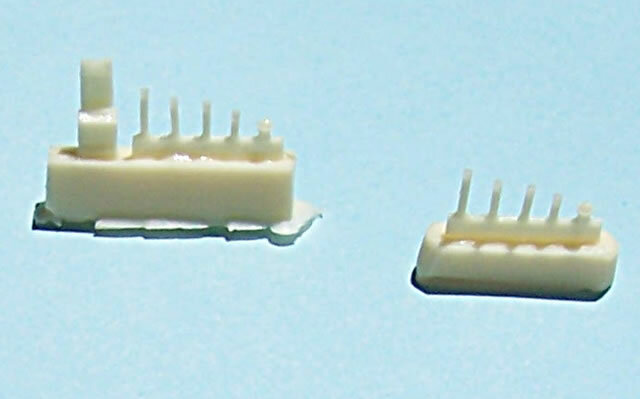 Other PE parts include the dynamo mounting bracket, plus aileron and rudder actuators. Overall construction should be straightforward and conventional, provided care is used with some of the very small detail parts. A rigging diagram is provided and fortunately it’s not overly complicated, being fairly typical for fighters of this period. However several flying wires are paired which can be a bit tricky to get spaced evenly and parallel. 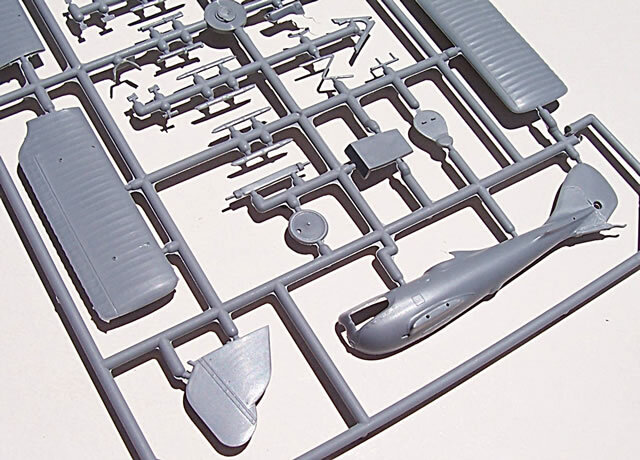 Decals for three grey-green Japanese options and one dark green Siamese machine are provided. It’s this last option that caught my eye with its colourful national insignia and red & white arrow symbol running along the fuselage. The decals themselves look excellent, with good registration and colour density. 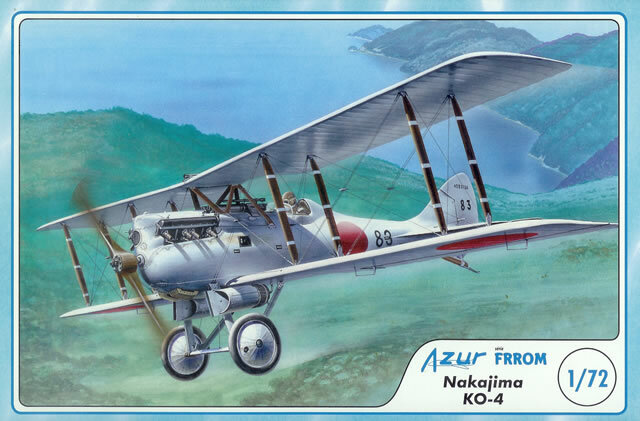 (Azur offer two other NiD 29 boxings, FR0007, covering Sweden, Italy and Spain, and FR0008 for France and Belgium. This looks to be a very good kit of an unusual but attractive 1920’s fighter. In many ways this kit should be a winner as it was a very successful design widely used and license- produced at a time when most military budgets were cut to the quick. So there are a wide variety of air forces and colour schemes to choose from, several of which Azur has covered. Not only did the NiD 29 enjoy military success, it was also developed into a number of racing versions, of which the Schneider floatplane and Gordon Bennet racers look great in my opinion. So some very interesting conversion options could be pursued as well. However, regardless of my burst of enthusiasm for the type, I suspect it will find a limited following whilst yet another Spitfire or Bf 109 kit gets released and sells in droves. So thank you Azur for putting an affordable and well executed injected kit within ready reach of those inclined to build something a bit different. At the time of writing I could only find two stockists listing the kit, despite there being plenty of on-line stores offering Azur kits. I would assume that it will be more widely available in due course. By the way, this kit is definitely recommended.